All Auditions will be held Saturday, Feb. 2, 2019 in the Dixon Recital Hall, Tulane University. Individual times will be assigned. Please see Audition Application Tab on web-site for the application! Junior Group – composed of auditionees through 8th grade. Intermediate Group – composed of auditionees in 9th through 12th grades. Young Artists Group – composed of auditionees in college or who have not yet reached their 26th birthday. Intermediate Group – composed of auditionees age 16 through age 19. Young Artists Group – composed of auditionees age 20 through age 25. Audition fees are $20.00 for soloists. For ensembles of two or more (choral, instrumental or dance) the audition fee is $30.00, with the understanding that the group will also pay any incidental expenses necessary to its performance. Full payment must accompany the application form. Audition fees are not refundable. 3. Soloists who have appeared on a Junior Philharmonic program one season are not eligible to audition for the solo performance the following season. 4. Soloists who need an accompanist or sound recording must supply his/her own. Dixon Hall is equipped with a tape deck and compact disc player. 5. Junior Philharmonic keys will be presented only to students who have both auditioned and performed in recital. For ensembles, all members who both audition and perform will receive a key; however, if the ensemble is outstanding and the board awards a cash prize and/or plaque to the group, only a single award will be presented. Selections listed on the application form must be the ones performed at the auditions. Please print the audition application and send it with the audition fee to: P.O. Box 13095, New Orleans, LA 70185-3095. Please make checks payable to: Junior Philharmonic Society of New Orleans. On the day of the auditions, instrumental auditionees will perform two pieces but must bring 2 copies of the music( the original score and a xeroxed copy ) for the three pieces listed on the application form; the first piece to be performed is chosen by the student, and the judges will choose the second piece from the remaining two titles. For lengthy pieces-There is a time limit and the student may not be able to play the entire piece, a bell will be rung to stop the performance. 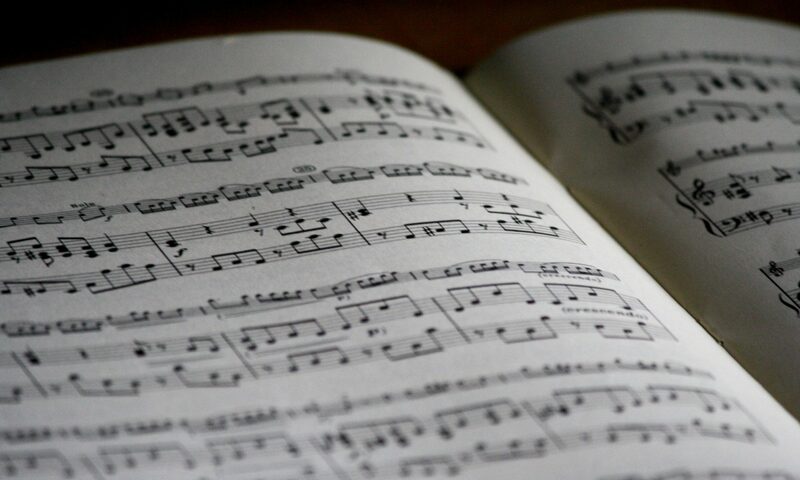 Instrumentalists are responsible for only one movement of a sonata or sonatina. Pianists in all three age groups (Junior, Intermediate and Young Artists) should prepare 3 selections representing any 2 of the 4 historical periods of music — Baroque, Classical, Romantic or Contemporary. All piano solo music must be memorized. Violinists, cellists, etc. should prepare 3 selections representing any 2 of the 4 historical periods of music— Baroque, Classical, Romantic or Contemporary. All string solo music must be memorized. Instrumentalists should prepare 3 selections of varied enough caliber to show the proficiency of the performer on his/her instrument. Solo selections must be memorized. Pianists/ensemble instrumentalists should prepare 1 selection representing any of the 4 historical periods of music. On the day of the auditions, vocal auditionees will perform two pieces but must bring 2 copies of the music for the three pieces listed on the application form; the first piece to be performed is chosen by the auditionee, and the judges will choose the second piece from the remaining two titles. Arias and songs should be commensurate with the singer’s age and ability. All soloist music must be memorized. 1. One early English or Italian song. 2. One song in German, French or Italian. 3. One contemporary song (after 1940) in English- can be an art song, operetta, or musical theater. 1. One aria from an Oratorio or Opera, performed in the original language. 2. One song in German, French or Italian. 3. One contemporary song (after 1940) in English- can be an art song, operetta, or musical theater. 4. Three languages must be represented. Choristers should prepare a program of 3 selections, which will show the proficiency of the group. Harmony should be demonstrated in at least a portion of the selections. Individual dancers should prepare two pieces, one in the Classical School and one in the Contemporary School, in order to demonstrate the proficiency of the individual. Dance forms that are NOT acceptable are: lyrical, tap, soft shoe and hip hop. Selections should not exceed four minutes, and only practice clothes may be worn to audition. Female dancers must perform the classical ballet variation on pointe. Groups of two or more should prepare one piece, either in the Classical or Contemporary schools. As with soloists, the dance forms of lyrical, tap, soft shoe and hip hop are NOT acceptable. Group selections should not exceed four minutes and only practice clothes may be worn for audition. Female dancers must perform pieces from the classical repertoire on pointe. Audition deadline is Jan. 22 ,2019 . All applications must be received by that date.